Every year when the cherry blossoms make an appearance, I beat myself up for NOT making the trek to High Park in Toronto for some beautiful snaps. The truth is, I’m just not all that into crowds nor thrilled about having to get up at 5 am for that perfect shot. Aminaz (my photographer) suggested a visit to the Aga Khan Museum instead and boy am I glad we came here! The grounds of the museum are SUPER well maintained and guess what, there were also rows of beautiful white blossom trees, just perched up right, ready for us to photograph. 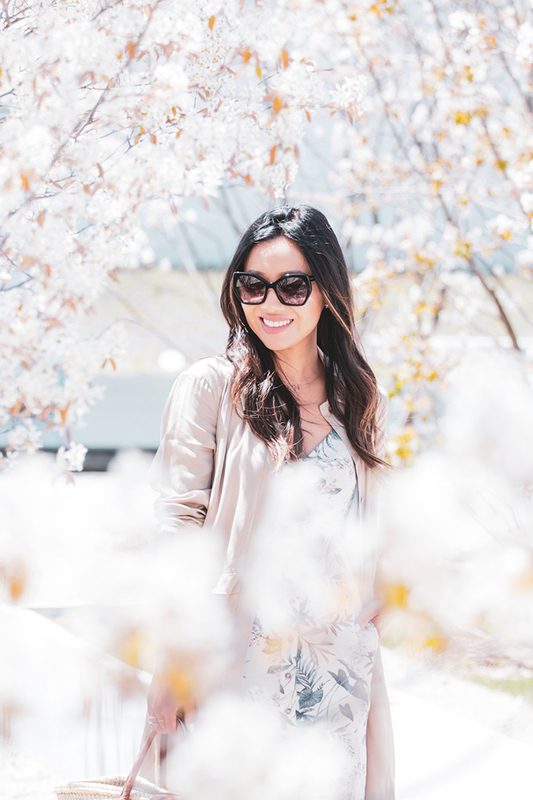 The scene was just the perfect match for this Spring ready outfit. I’ve been shopping at American Eagle Outfitters since I was in high school and I must say, it’s still a brand I adore. It’s not just reserved for the music festival going 20 year olds. In fact, if you’re one to channel that easy going boho vibe, then I urge you make a stop the next time you pass by at the mall. I’ve also been hunting for a casual light weight trench coat and glad that this number showed up on my door step thanks to my friends from Joe Fresh. 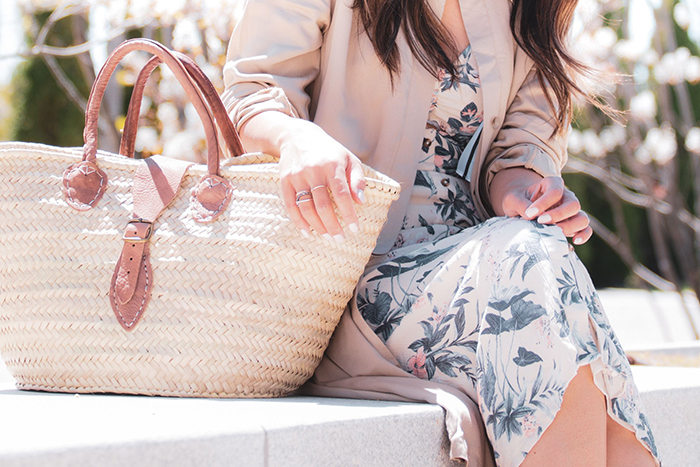 Every girl needs a trench coat! And if you’re looking in the market to spend your full pay cheque on one, this one is a great option. Hope you’re enjoying the beautiful week so far!